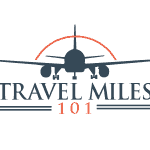 Travel Miles 101 - Page 23 of 24 - Travel Miles 101: The quickest & easiest way to get started saving big with travel rewards points and miles..
August 5, 2015 by Brad 2 Comments The editorial content on this page is not provided by any of the companies mentioned, and has not been reviewed, approved or otherwise endorsed by any of these entities. Opinions expressed here are the author’s alone. See our disclosures for more info. August 4, 2015 by Brad 12 Comments The editorial content on this page is not provided by any of the companies mentioned, and has not been reviewed, approved or otherwise endorsed by any of these entities. Opinions expressed here are the author’s alone. See our disclosures for more info. August 3, 2015 by Brad Leave a Comment The editorial content on this page is not provided by any of the companies mentioned, and has not been reviewed, approved or otherwise endorsed by any of these entities. Opinions expressed here are the author’s alone. See our disclosures for more info.